Recent media attention has drawn our focus back to gender identity and the potential harm that gender stereotyping in childhood can do. A rising number of young people are labelling themselves as ‘non-binary’ – that is, refusing to define themselves with a strict gender label such as male or female. Elsewhere, an increasing number of schools have introduced a ‘gender neutral’ uniform code to enable children to experience equality. The uniform policy introduced by Parson Street Primary School in Bristol has enabled both boys and girls to wear either trousers or skirts. Jamie Barry, headteacher of Parson Street Primary School, said: “Why would we define our children by the clothes they wear? “We still have the same uniform, we simply removed all references to gender in our uniform policy. For me, this was about creating a culture of acceptance. The topic of gender is a controversial one but begs us to take a closer look at important issues such as whether we’re ‘forcing’ gender stereotypes on children without realising. This being the case, what can be done to ensure we nip this practice in the bud so that it doesn’t hold children back in their personal development? To answer these questions, it can be helpful to start with an understanding of how gender awareness develops in children. Children don’t begin to notice gender or adopt certain behaviours like a preference for pink or blue until the age of two. This, therefore, suggests that youngsters’ concept of gender is flexible, at least for a period of time. Further studies suggest that, between the ages of 3 and 5 years old, children begin to view gender as a stable trait. It’s easy to see, then, that the play and practices which children engage in during their early years can have a huge effect on their concept of gender. 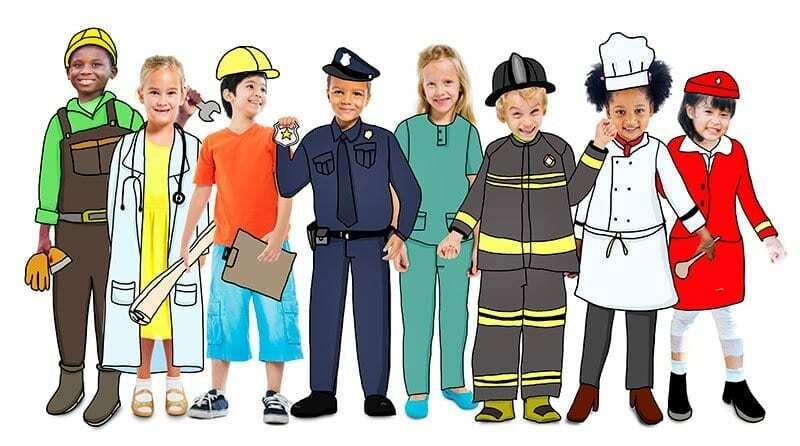 Ideas around what jobs are appropriate for each gender, the toys that boys and girls ‘should’ play with and society’s perceived ideals on how certain genders are expected to behave are all deeply ingrained in children from a young age. Why is tackling gender stereotyping so important? In a very general sense, it can hold children back from expressing their desires to engage in certain play or behaviours for fear that they aren’t conforming to society’s expectations of what girls or boys ‘should’ do. As a consequence of gender stereotyping, the lack of girls pursuing STEM (science, technology, engineering and maths) careers has been well documented over the years. A study by gender balance campaign WISE has shown that, in 2016, women made up just 21% of the core STEM workforce. Trying to challenge society’s ‘masculine norms’ can also leave boys more vulnerable to substance abuse, self-harm and suicide in later life. Many people will know of a male friend, relative or celebrity figure who has taken their own life due to mental health issues. The 2017 Suicide Statistics Report published by the Samaritans has shown that male rates of suicide remain consistently higher compared to females – around 3 times higher in the UK and 5 times higher in the Republic of Ireland. Added to this, there’s evidence to suggest that men, trying to adhere to masculine ideals, view getting help for mental health issues as a weakness. This results in a cascade of consequences which involves bottling up their feelings, not seeking help, and then attempting suicide as a route to ‘escape’ their problems. To become more aware of gender stereotyping taking place in your setting, it can be helpful to take a step back and look at your rooms. Ask yourself: how are both genders represented across your learning resources and materials? Could any of these environments be directly (or indirectly) contributing to gender stereotypes? For example, in the Small World Area, have you got women firefighters? Male nurses? You could also look at the photos that are displayed on your wall in your setting. Are these photos showing men in ‘typical’ women’s roles and vice versa? Taking this further, could the language your staff use be promoting gender stereotypes without them consciously realising it? Asking boys questions like: “Would you like to play with this digger?” or to girls, “Would you like to wear this princess dress?” can ingrain this stereotyping further. Do you hear sweeping generalisations in your setting such as “Boys should always…” or “Girls don’t…”? Talking to your staff members and helping them to understand how the language they use can unintentionally promote gender stereotyping will help them to become more mindful of using phrases like these. It’s helpful to remember that the repeated messages that children are exposed to in early life can quickly become part of their internal belief system. Children’s learning environments, the language they hear and the play they engage in all contribute to their concept of gender identity. With awareness of gender stereotyping, childcare providers can help curb the negative effect that this can have on children’s self-esteem and how they feel about their place in the world. Needless to say, encouraging children to develop a healthy sense of self and to understand their own – and other’s – uniqueness can be achieved without a specific focus on gender.